I'm reviewing to buy one guiar and hard case. Plz refer to the link below. If then, What case is fitted with EA20SNB ? If All of above hard case not matched, plz recommend one thing ! And, I have a question. Is the dimension of EA20 same with EA20SNB ? The EA20SNB is one of the guitars on my watch list. Not seen one used yet, but nice info for use latter on. Tom. Does anyone know if the case for the ea20snb has been released yet? 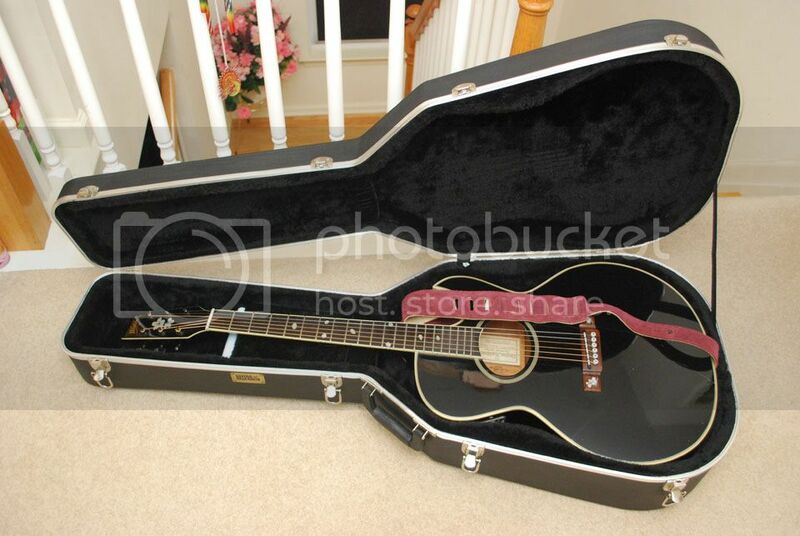 Had my ea20snb imported to the UK months ago but still no case and winters here... Would be helpful if one of the Washburn guys could find out and tell us! I can confirm the case GCEADLX2 does *NOT* fit the guitar EA20SNB. I just received both yesterday, in seperate packages because they don't fit! 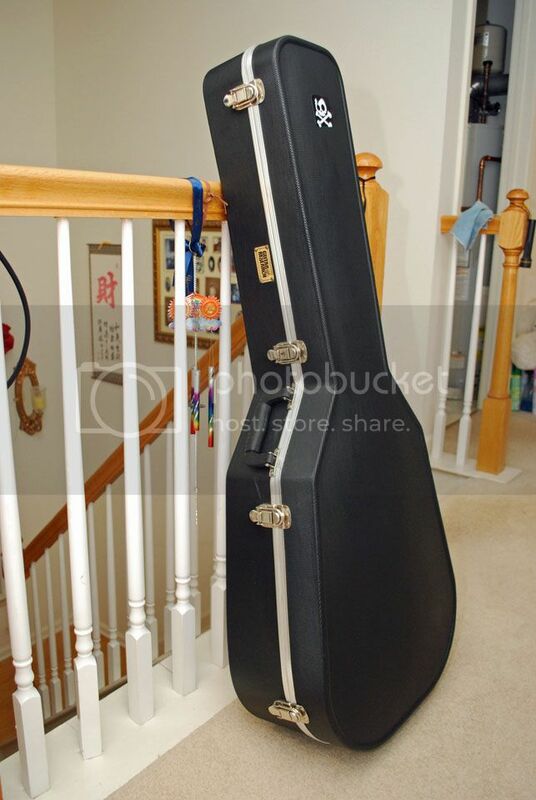 I bought a used case and as you can see it fits my EA20B (note: it is not a Washburn case) I believe its by 'Guitar Research' I will try and measure the outer and inside.. Length (body + neck) 45"
Width (widest area) 17 7/8"
Length (body + neck) 43 1/4"
I cant believe that its taken so long- and we'll have to be careful not to be palmed off with the old cases that don't fit! Just curious...any idea how those of us who are not very familiar with the EA series could know whether an EA model we are looking to buy is the larger or smaller of the two sizes they made?